North Drove, Lincs. The station was on the Midland and Great Northern Joint railway between Spalding and Bourne. 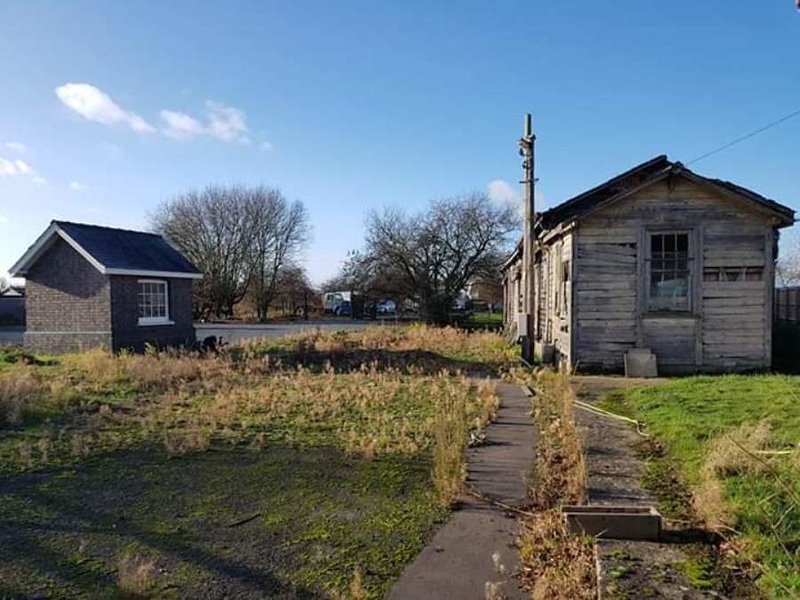 The image shows the wooden goods shed and the weighbridge office. The long demolished station was to the right. Photo with kind permission of Emma Romaine. November 2018.